Listen to Jeremy Gilley founder of Peace One Day, Director of the film ~ The Day After Peace. Make sure YOU listen Lynne Hazelden of Peace in OUR Lifetime's interview ~ YOU will see the world differently. COME TALK to THE MAN who made the International PEACE DAY on 21st September each year happen ~ ....happen? YES!!!! HE ~ PEACE ONE DAY ~ MADE IT HAPPEN, REALLY!!!! AND MADE IT HAVE MEANING as IT IS NOW A Global AGREED CEASEFIRE by each country in the United Nations! YOU didn't know?? WHY? WE HAVE WORK TO DO to GET THIS OUT ~ PLEASE HELP! LISTEN, CALL IN, SHOW HIM YOUR SUPPORT ~ Please then PASS the INTERVIEW ON :D We Will send a reminder with the link, near the time .. This IS the day that YOU ALL naturally take on as Peace Day, it did not just pop up it took YEARS of negotiation! 1.4 million children were immunised because of it WATCH the trailer on POD site ~ HERE http://www.peaceonday.org PLEASE SUPPORT POD & PASS PEACE ON! Join his website and facebook page here ~ http://www.facebook.com/event.php?eid=68922667480#/pages/Peace-One-Day/27323122617 Thank you ~ click share, email this interview and post to your blogs, profil. 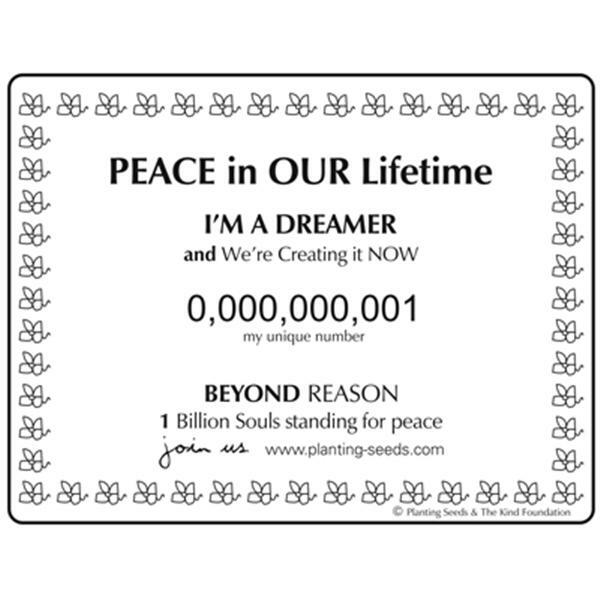 ADD Your commitment to peace on Peace One Day's site today.